Her name is Xerophyta! Congrats, Lori and Dani, for guessing her name! She's a punk rocker. I like her a lot! You are outdoing yourself with these ponies. Hi there! Stopping by from AM Station, found your name on the A-Z Challenge site. What a fun theme! Good luck with the rest of the challenge, looking forward to stopping by again soon!! I love her punk rock look. My heavens. A pretty pink name that starts with X. Thinking. Thinking. How about Xerxa? Xerxa is pretty! But sorry, no. Xeripiligia. I made that up. There are only a few X name flowers when I looked it up, and I was too lazy to google each flower name. Yup, must be towards the end of the Challenge, because I'm getting sleep deprived. There's a really cool tree growing plant in Florida, in the old growth swamps, some kind of fern, I think, that looks like it dies back and withers and turns brown when there's no rain. It can look like that for months. Within a few hours of rain, the plant turns green. Mother Nature is amazing! I don't know any flowers that begin with X, so I did some Googling and found Xerophyta. I'm enjoying learning about all these new-to-me flowers. 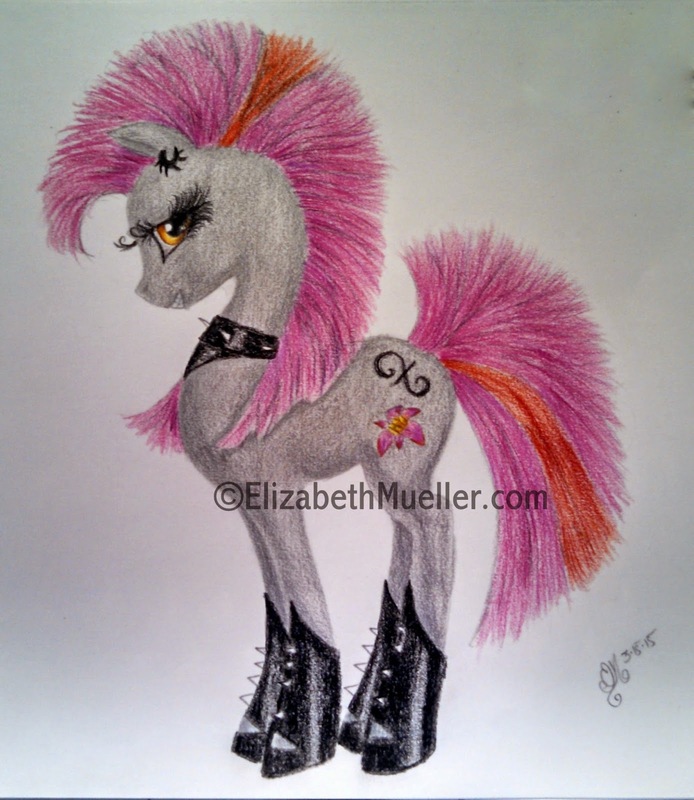 Cute punk pony! Cool! I don't know if I'm smart enough to find out how you found out, but great job! Xenia? I'm making that up.